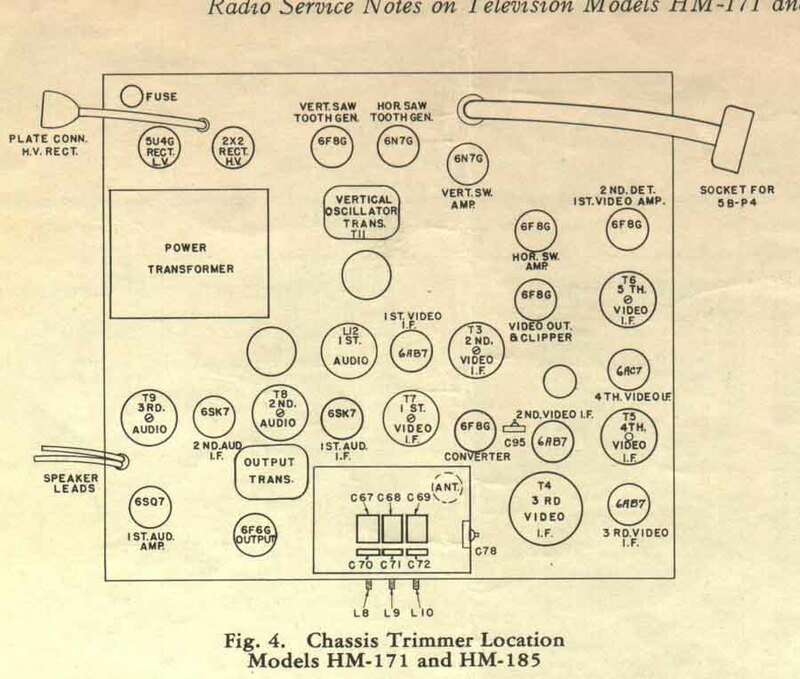 This page provides a glimpse at the early pre-war television owner's manuals, and tube layouts for key collector sets. With the generous assistance of Mr. Steve McVoy, my TRK-12 has once again come to life, after nearly a half-century of silence. This involved the total restoration of all four chassis, and included the installation of new capacitors inside the 'shells' of the old capacitors, to preserve the original 1939 appearance. The set works beautifully and perfectly, aside from the fact that I still need a 'new' 12AP4 picture tube. The set displays a nice clear picture, it just lacks full brightness. Actual image is better than digital photo above. When a 'good' 12AP4 is substituted, the picture looks the same as Steve's TRK-12. If anyone has information as to the whereabouts of a replacement tube, please contact me. Thank you! Click here for a listing of television stations operating in the United States. Time Periods Covered: 1930 to 1986, selected years.